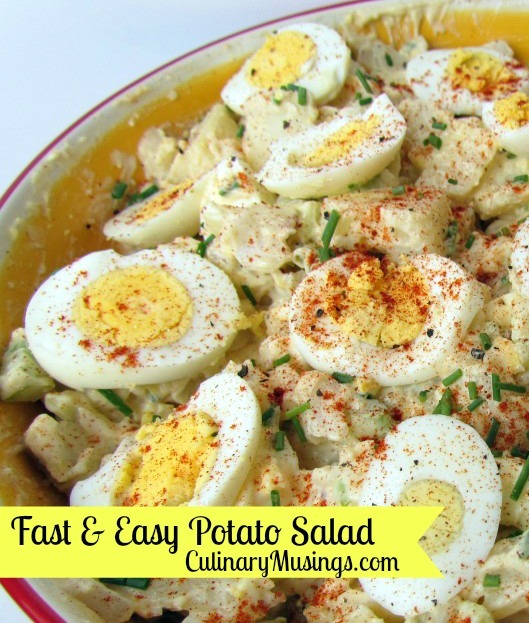 Fast & Easy Potato Salad Recipe - 20 Minutes + Chill Time! I went to a potluck last weekend. I brought Margaritas....someone else brought potato salad. Well, that's what they called it. It was mashed potato salad, with lots of vinegar...it was awful. I'm from Minnesota - our potato salad is made with salad dressing (Miracle Whip) and mustard, it has celery and eggs and potatoes and onion. It is not warm (unless you're German, I'm Norwegian - we don't do that,) it isn't made with mashed potatoes (shudder) and it's on every church or community potluck table you will find across the state. I realized that not many people grow up with potato salad in their summertime diet. I did. 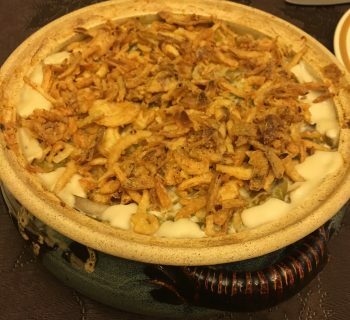 My mom makes wonderful potato salad, and I'm lucky enough to have learned from her. Hers tastes better, probably because she made it - doesn't all food made by mom taste better? I'm sharing my easy recipe here, this takes about 20 minutes max to put together, you should chill for a bit in the fridge if you can. 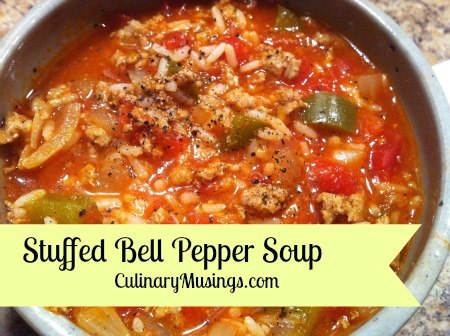 You can absolutely double this recipe or even triple if you're feeding a crowd. Use potatoes you peel and boil if you have time, this is my shortcut recipe! When potatoes are done, dump into a colander and rinse with cold water. You can put these in an icewater bath with the eggs if you like. While eggs and potatoes cool, mix up dressing by combining Miracle Whip, Mustard, Salt & Pepper in a small bowl.